ISLAMABAD: Saudi Arabia has agreed to provide a financial assistance of $6 billion to pull Pakistan out of the economic quagmire, the Foreign Office said on Tuesday. 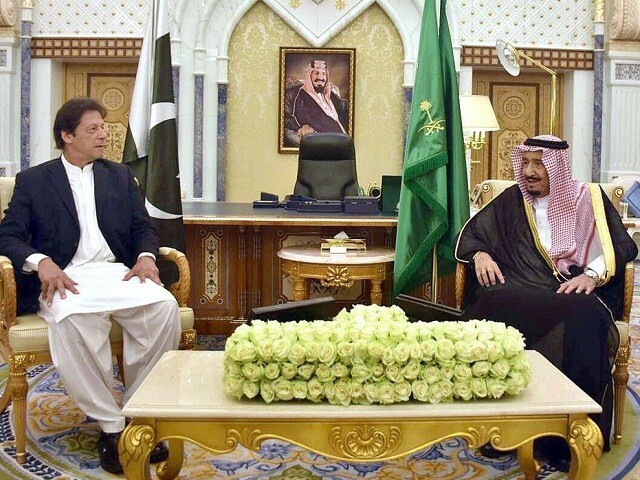 “An MoU was signed between Finance Minister Asad Umar and the Saudi Finance Minister, Muhammad Abdullah Al-Jadaan,” read the official statement. The foreign office said a one year deferred payment facility for import of oil, up to $3 billion, will also be provided by Saudi Arabia. “This arrangement will be in place for three years, which will be reviewed thereafter,” it added. The premier visited Riyadh on the invitation of King Salman bin Abdul Aziz to participate in the Future Investment Initiative (FII) Conference on October 22-23, 2018. 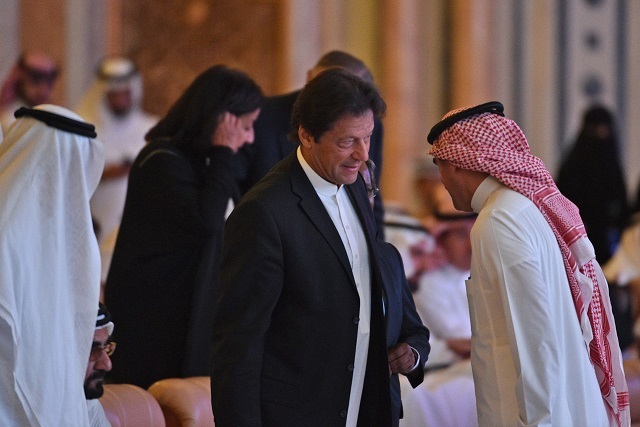 During the visit, the foreign office added, PM Imran had detailed bilateral discussions with King Salman, and crown prince Muhammad bin Salman. The latter agreed to reduce visa fee for Pakistani workers. It termed the move a significant step towards enhancing the country’s workforce in Saudi Arabia as well as facilitating travel of people from both countries. Earlier today, the premier spoke at the conference on the special invitation of King Salman in Riyadh. The premier talked about seeking loans to remedy Pakistan’s economic crisis and how the government had been striving to foster an environment conducive to investment. “What we are hoping is that we do a bit of both, get a loan from IMF and other loans from friendly governments,” the premier told those present at the Riyadh investment conference. said, adding crown prince Mohammed is organising a delegation of Saudi businessmen to invest in Pakistan. The PM Imran told the audience comprising local and international entrepreneurs and financial officials that the immediate concern for his government is to increase exports. “We need to increase our exports because we have a shortage of foreign reserves, because of our current account deficit. We need to get more remittances through the banking channels because there are about eight to nine million Pakistanis who work abroad, who are living abroad. We need to bolster our foreign exchange reserves,” he added. 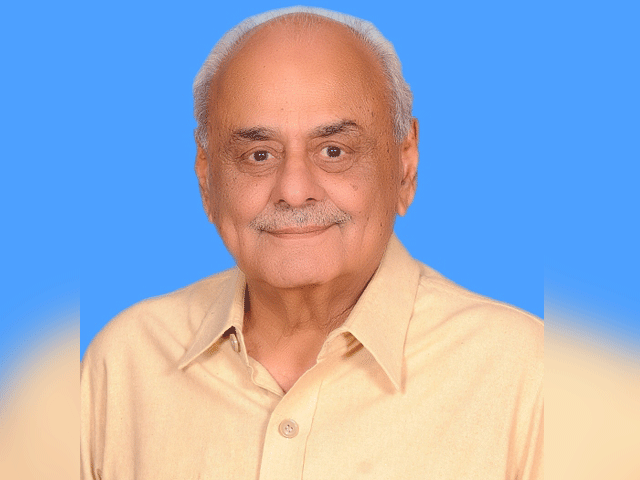 Questioned on the role of women in his vision for Pakistan, he said women pay back loans at higher rates than men and will be involved in microfinancing for the bottom tier of the government’s flagship housing program. 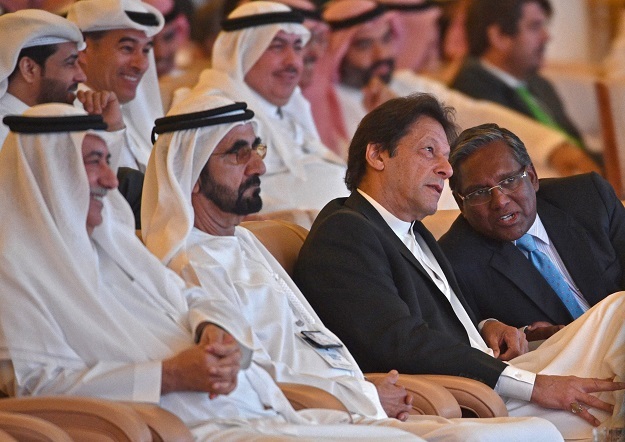 While a number of nations have boycotted the event over the alleged killing of journalist Jamal Khashoggi at the Saudi consulate in Istanbul, PM Imran is attending the event to project Pakistan’s investment potential and interact with business leaders. A question and answer session with the PM will also be held, according to information minister Fawad Chaudhry. 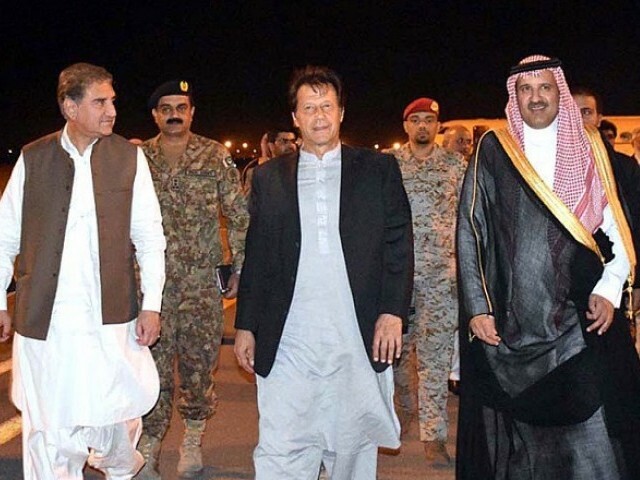 Riyadh Governor Faisal Bin Bandar bin Abdulaziz, Pakistan’s Ambassador to Saudi Arabia Khan Husham bin Siddique and other officials received PM Imran in Riyadh earlier on Tuesday. He had flown in from Madinah. The PM will also call on King Salman bin Abdel Aziz and meet Crown Prince Muhammad bin Salman to discuss matters of mutual interest over the visit. Foreign Minister Shah Mehmood Qureshi, Finance Minister Asad Umar, Information Minister Fawad Hussain, Adviser on Commerce Abdul Razzaq Dawood and Investment Board Chairman Haroon Sharif are part of the PM’s entourage. 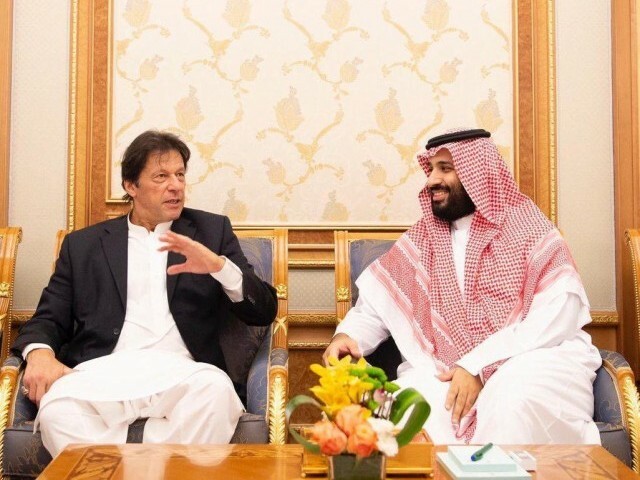 The government was “desperate” for possible Saudi loans to shore up the economy, PM Imran earlier said on Monday. He told an interviewer before leaving for the kingdom that while Khashoggi’s killing had left him concerned, he could not skip the conference owing to possible aid from Riyadh. It is prime minister’s second visit to Saudi Arabia in just over a month. But, he has not succeeded in securing significant financial assistance to stave off a looming balance of payment crisis. He told the Middle East Eye in an interview that he could not pass up the invitation to meet Saudi leaders again.“The reason I feel I have to avail myself of this opportunity is because in a country of 210 million people right now we have the worst debt crisis in our history,” he was quoted as saying. “Unless we get loans from friendly countries or the IMF [International Monetary Fund], we actually won’t have in another two or three months enough foreign exchange to service our debts or to pay for our imports. So we’re desperate at the moment,” he added. Islamabad has already asked the IMF to open negotiations for the country’s second potential bailout in five years. PM Imran, who took office in August, has been seeking alternatives to the tough conditions the IMF is likely to impose for loans, limiting his vision of an Islamic welfare state. The central bank’s foreign reserves dropped this month to $8.1 billion, a four-year low and barely enough to cover sovereign debt payments due through the end of the year. 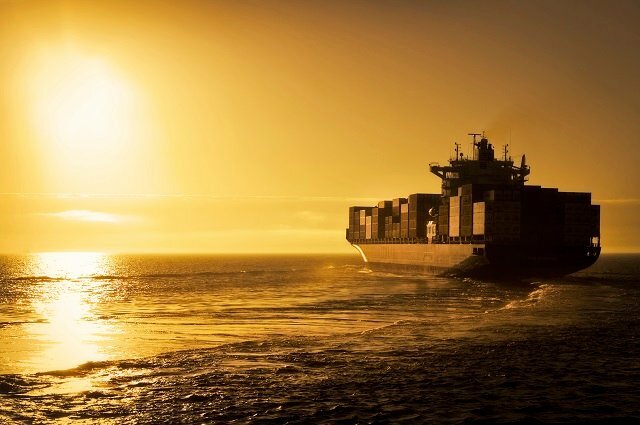 The current account deficit has swelled to about $18 billion. The PM has blamed the previous government’s policies for the ballooning current account deficit.